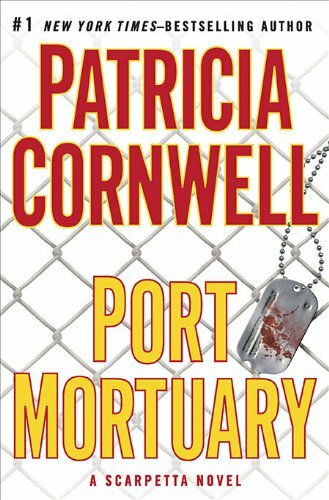 Patricia Cornwell is a prolific author whose work includes nonfiction, biography, cookbooks, and fiction—a total of 28 titles in all. In her latest novel—the 18th in the Kay Scarpetta Series—she reintroduces old names from earlier adventures: Benton, her husband; Marino, her hapless sidekick; and her niece Lucy, with whom she shares a relationship more like mother and daughter. Port Mortuary is the grisly locale at Dover (Delaware) Air Force Base where soldiers from both Middle East wars are shipped for autopsies. We find Dr. Scarpetta at Dover completing a fellowship in virtual autopsy techniques and other high-tech ways of analyzing cause of death. There is unfinished business from her early career in the military, which continues to haunt her, and remains close to the surface throughout the entire story. Nearing the end of her tenure at Dover, Kay Scarpetta is abruptly whisked back to her professional base at the Cambridge Forensic Center in Massachusetts. She senses that there are secrets that husband Benton, niece Lucy, and even Marino are keeping. Upon arrival, she confronts the reality that a young man, seemingly dead of a cardiac arrhythmia, may have been alive when he was delivered to the Center—a fact that could mean the demise of the Center and her career. Further examination reveals a kind of internal damage suffered by this young man that is heretofore unknown. This is high-tech adventure, introducing the reader to virtual autopsy, nanobots, and technology that is way ahead of anything the average person imagines possible. Add to this the “Brave New World” items of “seed size” covert surveillance cameras, data gloves, and robots intended for mortuary recovery on the battlefield, and you have a grim prediction for the potential harm that technology can wreak upon man. The author states at the outset that the medical and forensic procedures, technologies, and weapons do in fact exist. The content is disturbing. “All of it is possible,” she adds. Cornwell is a forensic physician and a founder of the Virginia Institute of Forensic Science and Medicine and is thus well qualified to delve into the topic. In this sense, the book lives up to Cornwell’s ability to both educate and entertain. However, it suffers from one main flaw: Detail and description are sandwiched into endless dialogue, giving the reader the impression of reading a radio script. Dr. Kay Scarpetta tells the story from her own point of view, which requires too much “telling,” leaving the reader on the outside, rather than being in there with her as she perseveres through her ordeal. The story’s engine seems to strain under the weight of a complicated plot in which new twists are continually added. This is a dark novel, grim in its prediction of the ends to which technology can take us, and the potential for Armageddon-like damage if tech-savvy minds of impressionable young people are molded by voracious and unscrupulous researchers. Still, dedicated Scarpetta readers have a chance to reunite with her and her retinue of colleagues and family as they work together to uncover the grisly truth.